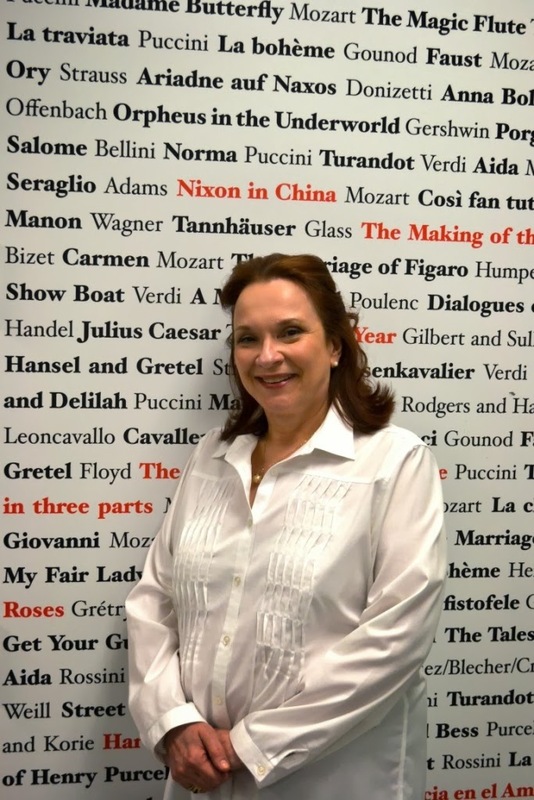 Diane Zola is the Director of Artistic Administration for Houston Grand Opera (HGO), having joined the company as Director of the young artist program, the Houston Grand Opera Studio. She also assisted the Bolshoi Opera in Moscow create its own young artist program. She began her career as an opera singer and continues to give masterclasses to singers at major opera houses and music festivals all over the world and regularly served on the judging panels for prestigious international vocal competitions. In 2012, she suffered severe injuries when she was hit by a car, but continued her work for HGO throughout her recovery in hospital and her rehabilitation period at home. My grandparents emigrated from Ukraine to Canada and both of my parents grew up as Canadians. My mom had been teaching in the States and when they got married they decided to live in the States permanently. My parents became US citizens after my sister and I were born. I think having that heritage is really important in everything I do. We were very ethnically-oriented and committed to the Ukrainian Catholic Church; I grew up with a mother and a father who felt it was essential to give back and to do things for people and to help someone who was down. I think that has impacted my life tremendously. I grew up in Detroit at a time before the city started its downward spiral, when it was an exciting city with a lot going on. Ours was a really musical family, my poor mother was my first piano teacher and I think I caused her probably more agony during those piano lessons than any other pupil she taught. My dad had a wonderful tenor voice and sang in the church choir with me and my sister. I played the piano and the violin – I also played the trombone for one year in my senior year at high school, learning just enough to be the third trombone in the jazz band. We also had a real interest in other countries and other nationalities’ customs. I couldn’t understand how you could live in a city like Detroit and not go over the river to Canada. There were so many people I was at school with who had never been to Windsor, or had never taken a trip to Toronto which was less than four hours away! The one big regret in my life is that I didn’t learn to speak Ukrainian fluently. It was not because our parents didn’t try, it is a skill I really could have used later in my life, especially now with my work in Eastern Europe. I wanted to be a singer from the time I was 16. Before that I wanted to be a teacher or a nun, or both. I remember my mom saying, “If you’re going to enter the convent, then you are going to go to university and live out in the world first.” Then by the time I was 16, I had realized that I had a talent that people said was somewhat special and after that, I just wanted to sing. I was maybe at times a little too focused on just the singing, I could have broadened some horizons, but I put everything I had into it. I struggled for a lot of years though I had some success. Because I had played the violin for so long, I had a big interest in orchestral music and chamber music and I used to go to all those concerts while I was in school. I feel it helped round me out to be the person I am and gave me what I bring to work in my job today. 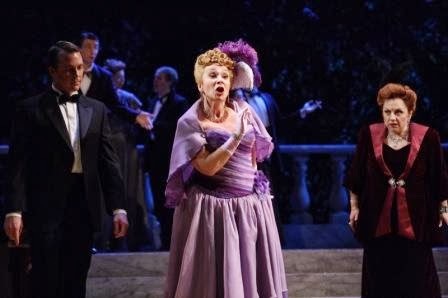 I have a rounded esthetic for singers and music-making, about how voices carry, how well I hear someone singing a role and how different it is to sing Strauss as opposed to Verdi or Wagner to Mozart. I have an understanding of all that. However, I had a voice that people didn’t know what to do with. I had a really high voice, but I also had what I would describe as an Eastern European sound with steel to it. I was floundering for a year after getting my Masters, so I cooked in a monastery in Toronto for a year while I lived with my aunt and uncle. These wonderful priests had known me since I was young because my uncle belonged to the order. They ran a high school and there was another lady from the Ukraine who cooked too so when I wasn’t cooking I did proofreading for the Ukrainian English magazine. It was a fascinating year for me, but I was still struggling with what to do vocally, so I started my doctorate at the University of Texas. My parents so wanted me to finish my doctorate because everyone felt that I could teach then, but I really didn’t want to teach in a voice studio. So finally I said, “That’s it!” and I moved to New York so that I could struggle with a lot of other performers there! I worked in a law firm and I actually worked alongside Renee Fleming who is now an internationally-renowned soprano! We both worked there along with about 25 other singers and they’d let us come and go. So I’d go to Europe for a while and then come back to New York and there would still be a job for me. Finally though, one has to face reality. I had certain dreams – I wanted to be married, I wanted to have children and I wanted to sing – and none of those things were happening! Finally a job came up at Columbia Artists Management. I was someone who helped a lot of people. With my singer friends, I took care of them, of their mail and their personal responsibilities when they were away, and I went to performances like crazy so I knew voices and the repertoire. I ended up being an artists’ manager for ten years, at Columbia Artists for a while and then I founded my own management. In that time, I also travelled for a while with mezzo-soprano, Dolora Zajick, as her personal assistant and I also drove Tatiana Troyanos, who was my personal idol. I think she was one of the greatest singers who ever walked the face of the earth. I was then bought out by a medium-sized management and as much as I loved the work I was doing with the singers, I found it challenging and at times disappointing. As an agent, you are never really part of the artistic process and that bothered me. If things went well, you never really had a part in it, and if things didn’t go well, it was all your fault! OK, I can be the bad guy up to a point, but let’s be realistic, if you didn’t sing well, it’s not my fault! I already knew HGO’s General Director David Gockley, so I applied for the position and it was quite a process to go through and then, all of a sudden I was moving to Houston. I never thought I would leave New York City, but on my birthday, July 31st, 2000, I moved to Houston to be the Director of the Houston Grand Opera Studio. It’s been an amazing trip. I can’t believe I am in my 14th season at HGO. When David Gockley left Houston for San Francisco, he took the Artistic Administrator with him. So in September of 2005 I become HGO’s Artistic Administrator. It was extremely challenging at first as I continued as the Director of the HGO Studio for an additional 6 months, and tried to adapt to my new position at the same time. It was a challenge to let go of the Opera Studio in a lot of ways, but as time has gone on, it’s has become easier. Plus I found another way that I can still work with young singers. I have been going to Moscow since 2001 to work with young singers there and had brought a number of the young singers to Houston to be members of the Studio. Then the Bolshoi Opera decided to start its own young artists program and asked me to act as their consultant to help develop a business plan and launch their studio. That was so exciting. I make maybe three trips to Moscow each year. 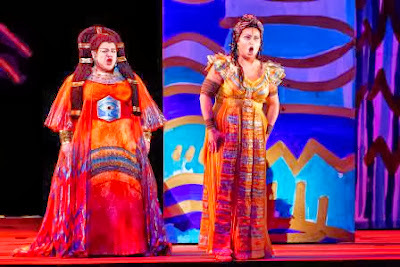 I’ve also been very active in judging vocal competitions, whether it’s the Metropolitan Opera’s competition in New York or competitions elsewhere in the States or in Europe. I was recently in Warsaw to judge the Moniuszcko Competition. It’s exciting to be at the very beginning of the process of a production, talking about who the artists are going to be and talking to the directors and conductors about the singers they want, then trying to put all the puzzle pieces together. To watch it bloom like a flower on the stage is so rewarding. I love what I do – most of the time! We do sometimes have our disappointments. I have a great team that I work with, starting with Mark Lear, who is the Associate Artistic Administrator. He is an amazing support. Without Mark, I would truly be lost. People like Mark are not working for themselves, they are working to make HGO the very best we can make it, it’s so gratifying. Sometimes I think I’m a little selfish, and then I think, “But you are bringing such beauty to the world, a beauty that the world needs.” Not everyone can be a doctor and save lives, but I think maybe we save a soul or a heart once in a while with the music we put on stage. It sounds a little Pollyanna-ish, but that’s how I feel. Who has been the greatest influence on your life? Overall it’s my mom because she was someone who just loved learning and loved people. It was never too much to add one more person to the family, whether it was an exchange student or a friend staying with us while they were ill. This went on my whole life and that was part of both my mom’s and my dad’s belief in being good Catholics, good Christians, and that again has impacted me. You know, my father was a saint! It would be one old lady after the next who was put in the spare bedroom and he never complained! He would say to Mom, “We’ve got to do this.” You know, one time they went to the station to pick up an exchange student from Switzerland and when they got there, there were a handful of kids from Liberia with nowhere to go, so they took one of them home. I grew up with that esthetic, I was so fortunate. What advice would you give to a young singer who was perhaps struggling, like you did, to find their place? I always say that there is life after singing. Like a lot of young singers, I felt my life would be over if I couldn’t sing, but life isn’t over at all. 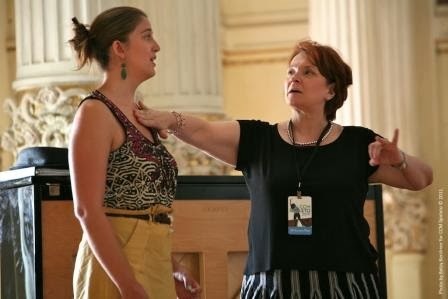 If you want to stay in the field, there is so much to do, whether it’s teaching or mentoring or working in a school or opera house. You know, what’s wrong with putting together contracts and schedules? It’s exciting and fulfilling. I think that the biggest thing is to keep your options open, don’t ever think, “I’ll never do that” because you should never say never. I learned that the hard way! How to do you find, or seek to find, balance in your life? It’s something I still struggle with. It’s really easy when we are in the heat of production to have no balance at all. All you do is come to work and go home and that doesn’t make for someone who uses their time well. So I’ve been much more committed to making sure I am exercising, especially after the two accidents I had.I was badly injured when I was hit by a car last year and I struggled to recuperate. When I was finally fit to travel again this spring, I went to Europe and I fell, breaking my foot and my wrist. All that has given me a lot of pause for thought about what I’m doing and why I’m doing it. It has also helped me think a lot more about finding balance in life and remembering that you have to take time to smell the roses. Exercise for me is now about building my body back. I have always struggled with my weight, but now I am back on the Weight Watchers program and I’m really being conscious of what I’m eating. I turned 60 this summer and I have to think seriously about living alone, taking care of myself and trying to remain as healthy as I possibly can. Sometimes that means giving up that piece of cake or that hamburger – and I really love good hamburgers, and the French fries and the glass of wine with it, but I was enjoying all of that a little too much in the last year! But balance is also about saying, “I’m turning the cell phone off right now for the rest of the evening.” I never take a day when I don’t look at emails, but though I still struggle with putting work away, I’ve made a commitment to put the cell phone away when I go out for dinner with a friend, and that’s a big step. If we are in production, it’s a little different because if an artist gets sick they need to be able to contact me. But when we are not in production, it’s fine. I also made time this summer to go out to dinner and lunch more with friends – you say all year that you are going to do it and then all of a sudden it’s September and the start of the opera season, and then suddenly it’s May and you haven’t done any of it. So I’ve been putting myself out there a little more. I’ve also been making myself go to bed a little earlier so I can read more. Reading is a real source of peace and it takes me to another world which is really fabulous. What does Houston mean to you? I’m sure so many people are going to say this but, as a community, the generosity of Houstonians is unbelievable. I saw this first hand when I moved here in 2000, people took care of me and introduced me to the city. Then last year, through my struggles after the car accident when I couldn’t do anything, the help that I received was truly incredible. I’ve also watched how people help the young artists that come to Houston. I’m not talking about the people that give money, though of course that is greatly appreciated, it’s about the people who give their time, the people who do an extra ride into town to pick someone up to go to the airport or take them to a doctor. You don’t see that generosity of time and generosity of spirit in a lot of places. I think that is what Houston means to me. Where is your happy place in Houston? That is the hardest question! One of them is in the Wortham Theater. When a production works, when it is just going, it makes me so proud. Not proud of myself but proud what we have brought to the public, bringing a composer to life or a singer that we are introducing to everyone, that’s a happy place for me. Another happy place for me is to go to church at St Anne’s. I find real peace there, even when I’m really pushed. We can go to mass a million different times between Saturday night and Sunday night, but there’s a certain peace that I find by going and just sitting being quiet. I also used to love to go to Memorial Park to walk, enjoying the trees and the wildlife, but of course I can’t do that right now and I miss it. I would still enjoy it, even with all the trees that are gone. That’s hard too, because Houston is so full of so many good restaurants, but I love Backstreet Café. It’s in my neighborhood and I love that I can sit in a comfy cozy room there or in the sunnier back room or, when the weather is beautiful in January and February, I can sit outside. I love the food there, and I love to go to Barnaby’s on Shepherd for hamburgers! I have French fries and a glass of red wine and that for me is absolute heaven! What is your Houston secret? I think that the red beans and rice at Treebeards restaurant on Market Square just says “Houston” to me, even though I know it’s really Cajun and from New Orleans. The summer weather, without a doubt! I know people say that the humidity is good for your skin, but I just can’t stand it! I’d rather just spritz my face! Yes, the weather would be the one thing I’d change, along with getting more people to know about Houston Grand Opera! For more information about the Houston Grand Opera’s performances, of which Diane is so proud, please visit www.hgo.org. Thank you for doing such a nice article on my sister. She truely is a gem. Ten down, how many still to go? Welcome to the Inspiring Houston Women blog! Designed by Michael Deacon. All photos by Caroline Leech, unless otherwise stated. Simple theme. Powered by Blogger.